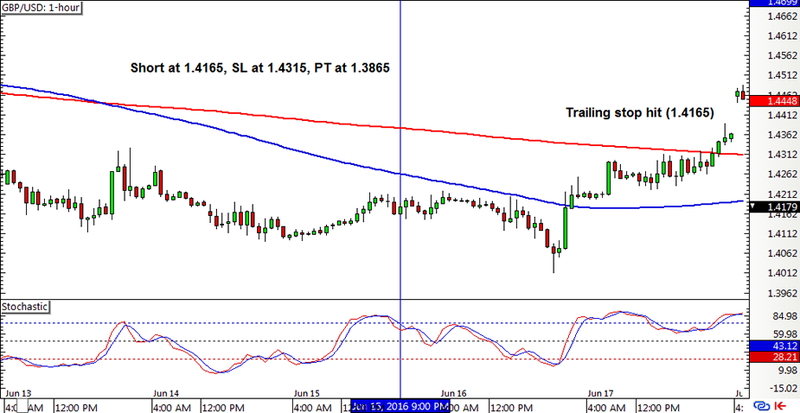 GBP/USD had a new crossover at the start of the week but the stochastic pullback signal popped up a few days later. 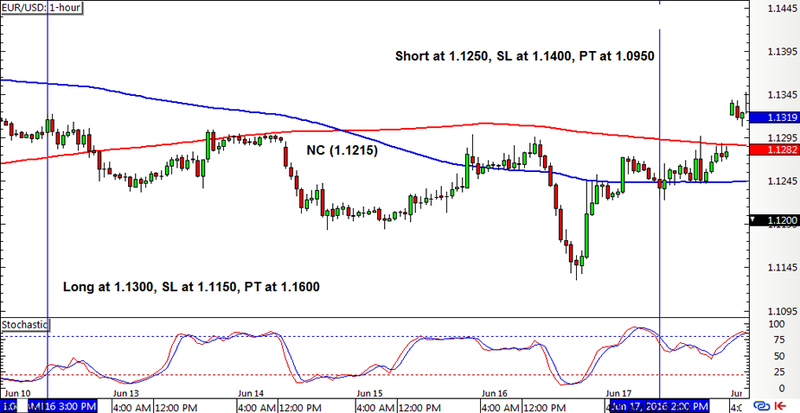 Eventually, the trailing stop was hit at breakeven. 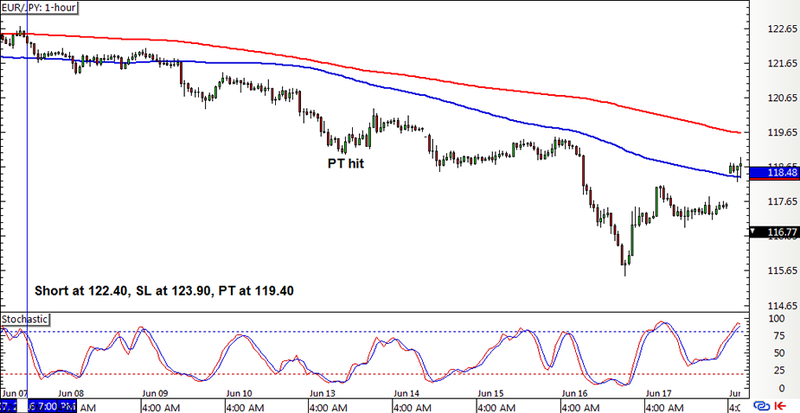 EUR/JPY, which has chalked up a bunch of choppy moves in the past few weeks, redeemed itself with a winning trade. 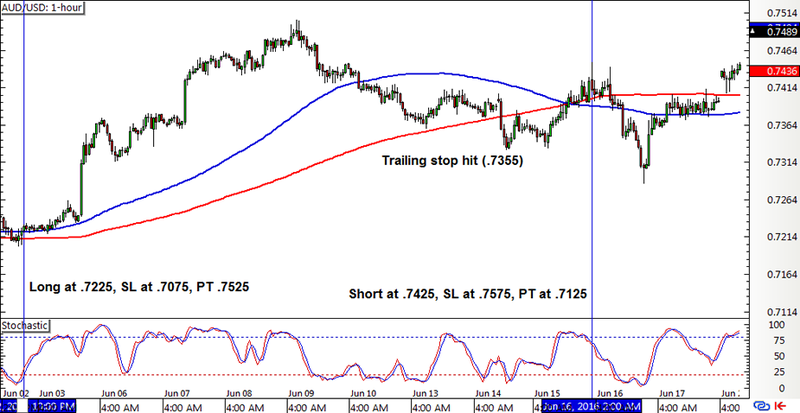 Lastly, AUD/USD also hit its trailing stop from the previous week’s position, locking in some gains on the long trade. Another signal popped up before the end of the week and is still open. All in all, the system ended with a 345-pip win or a 2.30% gain on the account with a couple of trades ending in the green. There are still a couple of positions open and I’m excited to see how these will turn out for the EU referendum week. Stay tuned for my update next week! Here are some books if you want to get deeper into building systems & algorithms. BabyPips.com receives a small credit from any purchases through the Amazon links above to help support the free content and features of our site…enjoy!